H hook or hook needed to obtain gauge. Introduction: This is a pattern for a "conversation hearts" scarf. It's really pretty basic. 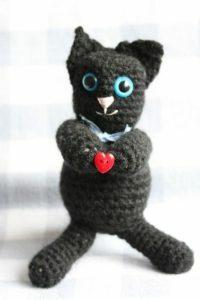 You're going to make a whole ton of heart motifs, then join them all together. This could also be adapted to turn this into a blanket. 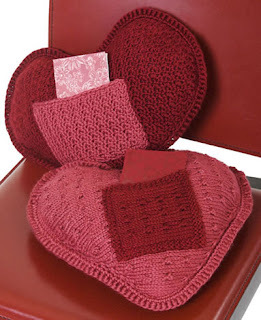 Materials List: Worsted Weight Yarn in candy heart colors. The scarf pictured uses 5 different colors–white, purple, pale yellow, pink, and green. One skein of each. 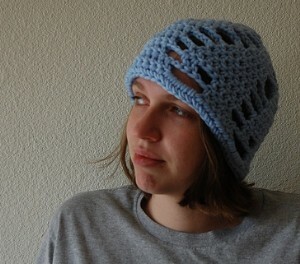 The example uses a "light" worsted acrylic. Finished Size: One heart motif measures 4" (10.2cm) across. Finished scarf is approximately 51" (128cm) long. 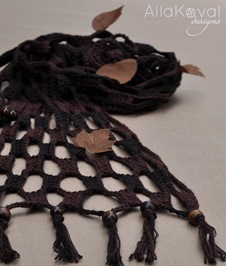 Gauge: One heart motif measures 4 inches (10.2cm) at the widest point. This design was inspired by a single ball of cheerful blue yarn, which, though warm and thick was just too bright and happy to be consigned to a heavy winter hat. The openness of the design is perfect for the brighter days of early spring, while still providing considerable warmth. Size: Approx. 24" Circumference: Shown with a positive ease of 1.5 inches. Orange, gold, green belt, in light-weight knitting worsted, is about 2″ wide for slipping through belt loops of jeans; length is adjustable. GAUGE: Each small square = 1-3/4″; each large square = 3-1/2″. Notes: Directions are the same for both belts. Hook size and yarn determine size of square. Squares are worked tightly to minimize stretching. When changing colors, work over all short ends of yarn to hide them. Work over short ends when crocheting edging. Make someone a special valentines gift! Size 10 crochet thread in Red and Black, size 7 crochet hook or hook to obtain gauge, needle to take crochet thread, short zipper (5” or 7”), small snap and sewing machine. Crochet your own bag to go with your favorite outfit using this free crochet pattern. Cute, stylish and practical this backpack is easy to make and is perfect for toting all of your essentials. Approx 10 x 13" [25.5 x 33 cm]. Bernat® Handicrafter Cotton Camo (340 g/12 oz) or yarn of your choice. 2 balls of #33986 (Desert Sand). Size 4 mm (U.S. G or 6) crochet hook or size needed to obtain gauge. 10 grommets 7/16" [11 mm]. RED HEART Artesano: 2 Balls 4375 Exotic. 12" Two-Slider Zipper (Coats & Clark Art.F.53), yarn needle, sewing needle and matching thread. Bag measures 16" wide x 21" tall, including strap. GAUGE: 14 sc = 4"; 10 rows = 4" in sc. CHECK YOUR GAUGE. Use any size hook to obtain the gauge. 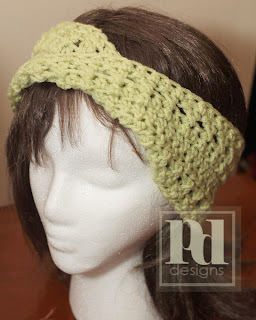 Make this earwarmer headband in about an hour!! In the blink of an eye, with a snip of thread and a twist of your hook, you can create this fun bracelet. It's perfect with jeans or for dressing up. And if your friends find out you made it yourself, they might just ask you to make some for them too (better get ready to teach them all how to crochet for themselves!). Chain, slip stitch, single crochet, working in the round, working in the back loop only. "At long last a skirt for the nostalgic type!" 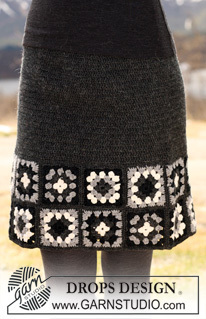 DROPS Crochet Skirt in ”Karisma” with patterned squares along bottom edge. DROPS CROCHET HOOK size 4 mm / G/6 – or size needed to get 1 square = 9.5 x 9.5 cm / 3½” x 3½” and 18 sts x 12 rows in PATTERN = 10 x 10 cm / 4’’ x 4’’. Crocheted from such Unique Tredsetter Soleil yarn with wooden beads and cut fabric leaves, these scarves are not only a great addition to your wardrobe, but also will not not cost you a fortune (Ecru scarf takes 1 hank of yarn and Brown wrap-scarf made from one hank of Tredsetter Solei and less than 1 hank of Cascade Sierra). But sure, these scarves can be made with any other yarn and colors you would prefer! A perfect gift idea too! 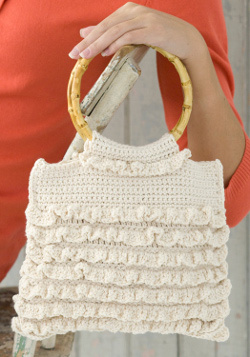 Feminine ruffles circle the bag in this bohemian-chic crochet purse pattern. 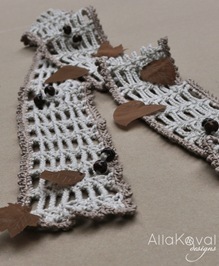 This easy crochet purse in eco-friendly yarn would make a great gift for an environmentalist friend. Yarn: RED HEART® “Eco-Cotton Blend”: 3 skeins 373 Vanilla. Gauge: 4 dc = 1”; 1 sc row and 1 dc row = 1”. "These headbands are a really cute accessory that also keep you warm." 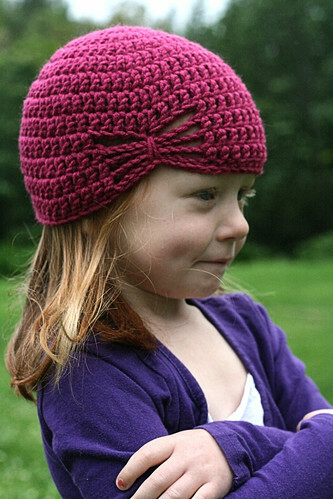 Chunky Headband / Earwarmer Crochet Pattern by Mel Paton (Mel P Designs). 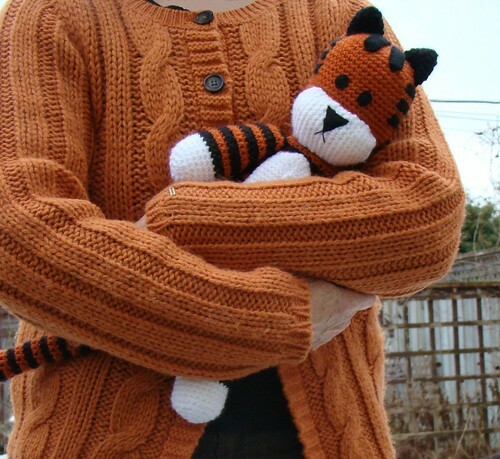 The reason he is free is because the creator of Calvin and Hobbes, Bill Watterson did not want to commercialize his work so keeping that in mind Please don't sell this pattern and don't sell the completed work. Worsted weight yarn in orange, black and white (less than a 100 g ball each).